Modern dentistry goes beyond simply cleaning teeth, and thankfully so. In today’s world of social media and smart phones, the way we present ourselves can determine not only the outcome of day to day events, but how we perceive ourselves in this new world as well. The one thing that can speak beyond languages and borders is a beautiful smile. At the offices of Dr. Aurelia, D.D.S., we provide you with the tools and expertise necessary for a full smile-makeover. For some of us, an alluring smile seems elusive. If you should decide upon consultation with Dr. Aurelia to take your smile a step further, there is a multitude of treatment options available to you. Porcelain Veneers – For chipped, severely stained, or uneven teeth, porcelain veneers may be the option for you. They work by bonding to the existing teeth, and can be placed quickly and easily. Fillings – Cavities can affect even those most diligent with oral hygiene practices. Available in natural, gold or metal, these fillings replace the decayed material, preventing further damage and restoring full functionality. 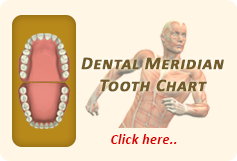 Dentures – For patients who are missing teeth, dentures may be the best course of action. They are created to fit comfortably in your mouth while looking as beautiful as natural teeth. There are two types of dentures available: the traditional style, which means the dentures rest on the gums and implant-supported, which are supported by dental implants. Dental Implants – For patients who are missing teeth and have sufficient jawbone structure, dental implants may be the right choice. The dental implant works by replacing the root of the tooth. They last for decades and give patients peace of mind that slippage will not occur. Dr. Aurelia and his team also provide many other services such as Invisalign invisible braces, crowns, and bridges for patients in search of a smile they can be proud of. Feel free to call with any questions or concerns because the first step towards receiving that smile you have always wanted starts with one easy phone call.